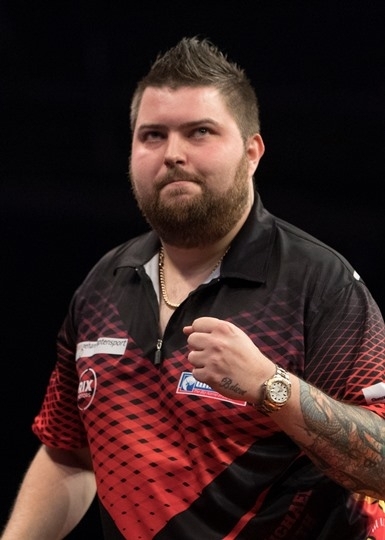 Gary Anderson produced another masterclass and Michael Smith got back to winning ways in style as the Team Unicorn pair produced big wins on the second sell-out night in Rotterdam. 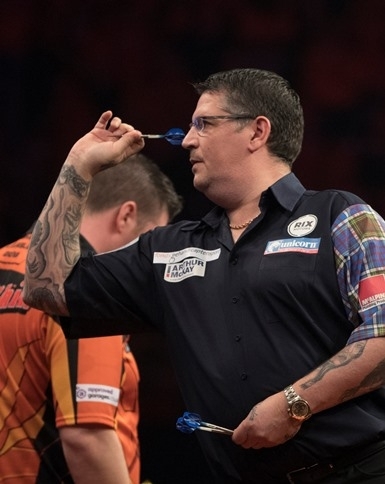 Anderson made it four wins on the spin and three crucial victories over the two nights in Holland with another 110 average as he swept aside the challenge of Daryl Gurney to move second in the PL table. Smith cemented fourth spot after thrashing Simon Whitlock in the opening match on Thursday at the Ahoy Arena. But Anderson stole the show again. When he’s on, he’s on! And Gary has been running hot in Rotterdam. “I feel like I’m playing proper darts at the moment. It’s been a great couple of days for me and I am delighted for Michael too. He has worked very hard this year,” the Scot said. After his superb wins over Smith and Rob Cross on Wednesday, Anderson dazzled again in front of another 11,000 sell-out crowd in Holland. Gary set the tone with a stunning 170 finish to break throw in the third leg. He then took out 77, 88 and 92 to move 6-2 in front. At that stage he had hit six doubles from seven attempts. Anderson did miss two darts to win 7-2 but it didn’t matter as he nailed D2 to wrap up a comprehensive 7-3 victory. He hit five 180s and looked in that zone when Anderson is unstoppable. Smith lost the opening leg against Whitlock, but the Unicorn man soon got into his stride. A fabulous 160 check-out gave him an early break of throw and he didn’t look back as the Aussie struggled. Smith nailed six 180s in eight legs and he won seven straight legs to sweep to victory with a 98 average. Those PL semi-finals are within touching distance. Smith takes on Peter Wright and Michael van Gerwen in Manchester, while Anderson faces Whitlock. Elsewhere, Raymond van Barneveld won the Dutch battle as he beat Michael van Gerwen 7-5. Back-to-back defeats for Van Gerwen for the first time in a Premier League campaign after his loss to Peter Wright on Wednesday. And Wright came back from 2-5 down to earn a deserved point against Rob Cross.